Insulin isn’t just a drug. Insulin isn’t just a drug. It’s the difference between life and death for millions of people with diabetes—and it’s something they will need every day for the rest of their lives. When you or someone you love needs insulin and cannot afford it, the choices are scary. As the cost of insulin continues to rise, more of us, our family members, our friends and our neighbors are rationing their insulin or doing without other necessities to pay for this lifesaving drug. The American Diabetes Association’s Board of Directors unanimously passed a resolution calling for immediate action by Congress and by all of the parties involved in the insulin supply chain to ensure affordable insulin for everyone who needs this lifesaving medication. But to make sure that call is heard by those with the power to make a difference, we need you. Add your name to the petition and join the Association to support those struggling with access to insulin. 1. Share the petition with your social media community. Tell them why it matters and invite them to join you in this fight. 3. Know other organizations that have a stake in making insulin affordable? Ask them to join us, and make this call for change even stronger. 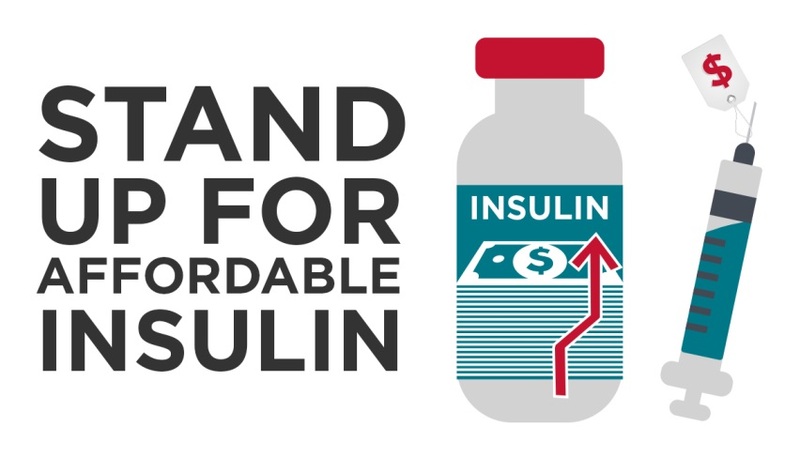 Let’s send a message that the rising cost of insulin, and the lives of those who depend on it, cannot be ignored. On Thursday, November 19, 2015, at 11am ET, Popper & Yatvin partner, Alan L. Yatvin, will be a guest on Knowledge@Wharton, a daily, call-in business interview program, broadcasting live on Sirius XM from The Wharton School at the University of Pennsylvania. Alan will be speaking with host Dan Loney about the rights of children with diabetes. Joining them will be Dr. Steven Willi, medical director of the Diabetes Center for Children at The Children’s Hospital of Philadelphia. The broadcast will repeat that night at 11pm ET. After that it will be online on SiriusXM’s On Demand feature for the next seven days, channel 111. If you do not have a SiriusXM subscription, an alternative is linking to the 30-day free trial subscription to SiriusXM. Alan Yatvin has represented numerous families of students with diabetes who faced discrimination because of their medical condition. He served as the American Diabetes Association (ADA) national chair of legal advocacy from 2010 – 2013. He is currently a member of the ADA Board of Directors. Popper & Yatvin partner Alan L. Yatvin was a member of the writing group for Diabetes Care in the School Setting: A Position Statement of the American Diabetes Association, published in the journal Diabetes Care, October 2015 vol. 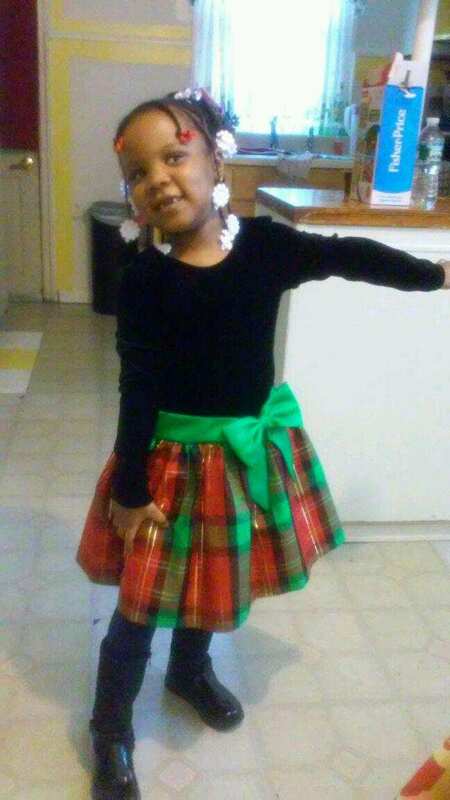 38 no. 10 1958-1963. Popper & Yatvin partner Alan L. Yatvin was quoted by The New York Times in an October 27, 2015, article: Many Schools Failing on Type 1 Diabetes Care. The article highlights the failure of many schools to provide students with type 1 diabetes with the routine care they need, and the fact that often parents do not know they have the legal right to insist on such accommodations. Yatvin has represented numerous families of students with diabetes who faced discrimination because of their medical condition. He served as American Diabetes Association (ADA) national chair of legal advocacy from 2010 – 2013. He is currently a member of the ADA Board of Directors. 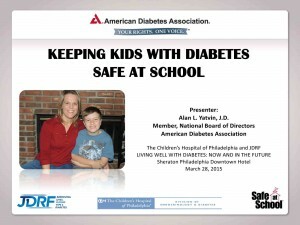 On March 28, 2015, Alan Yatvin presented at the Annual Conference of the Children’s Hospital of Philadelphia and the Juvenile Diabetes Research Foundation, Living Well with Diabetes: Now and in the Future.